The number of wireless technologies that allow devices to talk to one another remotely has grown alongside the rising popularity of home automation products 8 Simple Solutions for Common Home Automation Headaches 8 Simple Solutions for Common Home Automation Headaches Smart home products are supposed to make your life easier, but sometimes they can be the most frustrating things in the world! Here are the easiest ways to keep your home functional -- not infuriating. Read More . Despite this, one of the oldest technologies, or languages, Z-Wave, remains a popular choice amongst product developers. In this article, you’ll learn more about the Z-Wave protocol and the smart home products that support it. Z-Wave isn’t an open system and therefore is only available to Zensys and Sigma Designs customers. While this may seem like a limitation, in many respects it’s one of the protocol’s biggest strengths. One of the most important advantages of a closed system is security. Every Z-Wave network and its products have unique IDs used to communicate with your hub, and this ID adds another level of safety beyond AES-128 encryption. Is Z-Wave Compatible With Your Smart Home? Lots of smart home products offer Z-Wave compatibility, including smart hubs, lighting products, locks, thermostats, and more. Think of smart hubs as a brain for your home. A hub is used to control and send commands to other connected devices. For example, a Wi-Fi router uses Wi-Fi signals to connect your laptop and smart devices to keep you online. Popular smart home hubs compatible with Z-Wave include Samsung SmartThings Samsung SmartThings: The Future of Smart Homes? Samsung SmartThings: The Future of Smart Homes? Samsung has supported the idea of the smart home for a long time, and their recent developments and flexibility make Samsung's SmartThings a solid investment for the future. Read More , Wink Hub 2, and the Piper nv Smart Home Security System Hub. Lowe’s relatively new Iris lineup of smart home products is also compatible. By contrast, smart lighting products include bulbs, switches, dimmers, and plugs. Many of these have Z-Wave inside. By choosing these products, you can use a device to remotely turn them on and off, dim, and much more. Look for Z-Wave smart bulbs from General Electric, GOControl, and Wink, and smart switches from Aeon Labs, Enerwave, and Z-Wave Products, Inc. Cooper and Leviton are popular choices for dimmer switches and plugs. Smart locks also often have Z-Wave technology built-in, allowing them to be controlled from inside or outside the home. Schlage smart locks are a great example, as are those from Kwikset, August, and Yale Locks. Finally, there are Z-Wave compatible smart thermostats and smoke detectors, including those from First Alert, GoControl, and Honeywell, amongst others. Still have questions about Z-Wave? You’re not alone. 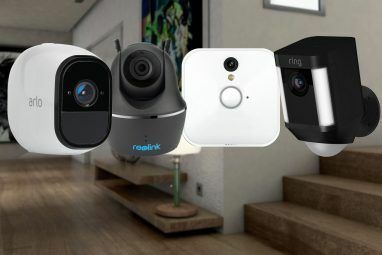 Here are the answers to many people’s first questions about this form of smart home connectivity. How Many Z-Wave Devices Can You Control? Currently, you can control 232 devices on a smart home network. While this might seem like a high number, Z-Wave’s chief competitor, Zeebee, supports up to 65,000 nodes. As already noted, Z-Wave uses low-energy Is Your Home Energy Efficient? 7 Things You've Overlooked Is Your Home Energy Efficient? 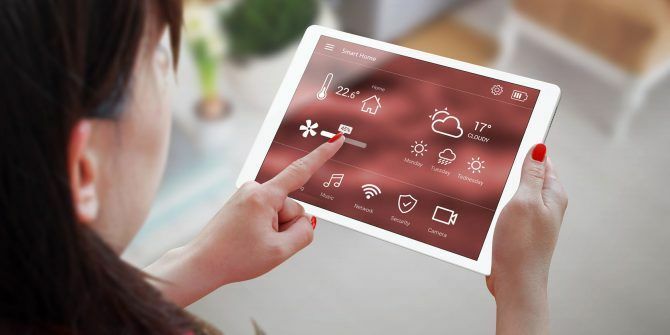 7 Things You've Overlooked The true cost of a smart home is far cheaper than you think. 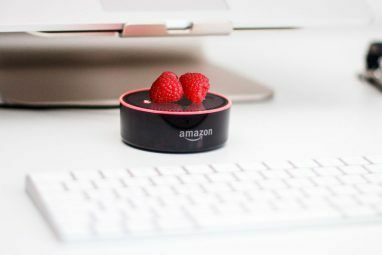 In fact, there are many home automation devices that everyone can afford, and many of them will feature in this article. Read More technology. Because of this, although hubs typically need to be plugged in to keep the network running, the products themselves usually only need batteries. Other devices can be plugged into the wall, however. Assuming you don’t experience obstacles, the distance between two Z-Wave products is about 328 feet or 100 meters. Because each Z-Wave product can act as a repeater, you can get a maximum range of 600 feet or 200 meters. Will Z-Wave Interfere With Your Wi-Fi? Thankfully, Z-Wave operates on a different wireless frequency than Wi-Fi Wi-Fi vs. Z-Wave: What's the Difference and Where Does It Matter? Wi-Fi vs. Z-Wave: What's the Difference and Where Does It Matter? When you see the Wi-Fi label on a box, you know what it means. But there is a new label appearing. What is Z-Wave and what does it mean for your devices? Read More . Because of this, there’s no interference between the two types of signals. How “Closed” Is the Z-Wave System? Being a closed system means there’s a risk Z-Wave could suddenly be taken off the market. However, this probably won’t happen. At last count, the Z-Wave Alliance consisted of 450 members and 1,700 certified products. Z-Wave isn’t going anywhere anytime soon. Do You Have to Tear Up Walls to Use Z-Wave Products? In most cases, no. Your walls are safe. 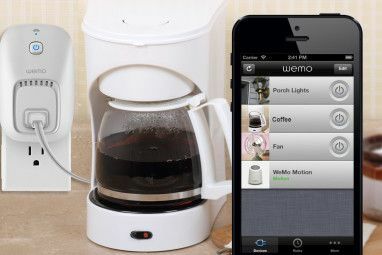 Instead, most of your products can be replaced with smart gadgets by tapping into the existing wiring in your home. Does Z-Wave Require a New Router? There’s no need to purchase a new router to have a smart home network. In fact, in some cases, you don’t even need to worry about buying a smart hub. Just make sure your existing router is Z-Wave ready — most of the current-generation models should work just fine. What’s the Difference Between Z-Wave and Z-Wave Plus? All Z-Wave products work with one another, regardless of the version. Z-Wave Plus is the latest certification standard, offering more security and compatibility between products. Z-Wave Plus has also been optimized for quicker setup and installation. Is There a Z-Wave App? Of course! You can use the official Z-Way App for iOS or Android, or you may choose to use one of the many apps provided by specific product manufacturers instead. Can Z-Wave Work in a Large House? Or an Apartment? Because Z-Wave uses a mesh network 5 Reasons to Buy a Mesh Wi-Fi Router Kit (And 3 Reasons Not To) 5 Reasons to Buy a Mesh Wi-Fi Router Kit (And 3 Reasons Not To) Is your router tucked away, battling thick walls and providing spotty coverage? A mesh Wi-Fi system wants to put an end to that horror, boosting your wireless coverage throughout the house. Read More , the size of your home doesn’t matter. Plus, since each Z-Wave product can act as a signal repeater, the more products you own, the more powerful your smart home network can become. What’s the Cost of a Z-Wave System? A Z-Wave installation can start with one or two products or a hundred; it doesn’t matter. The cost boils down to how many products you choose to begin with, and whether you install them on your own or hire someone to do it. Where Can You Go to Find More Answers? Z-Wave offers a lot of online documents about its protocol and clients. When in doubt, you should visit the official Z-Wave website. The smart home industry continues to evolve, and products that use Z-Wave are only some of the choices available. Because today’s products often use more than one protocol, however, you don’t have to make an all-or-nothing decision. In other words, if two products can’t talk to each other through Z-Wave the odds are pretty high they can communicate wirelessly using another protocol. Which smart home products do you have? Let us know below. It might be useful to mention that the frequency used by Z-Wave is different depending upon your geographical region. Products using a US frequency are not legal to use in Australia for example. As such while Z-Wave products are compatible you need to ensure that they are relevant for your market.